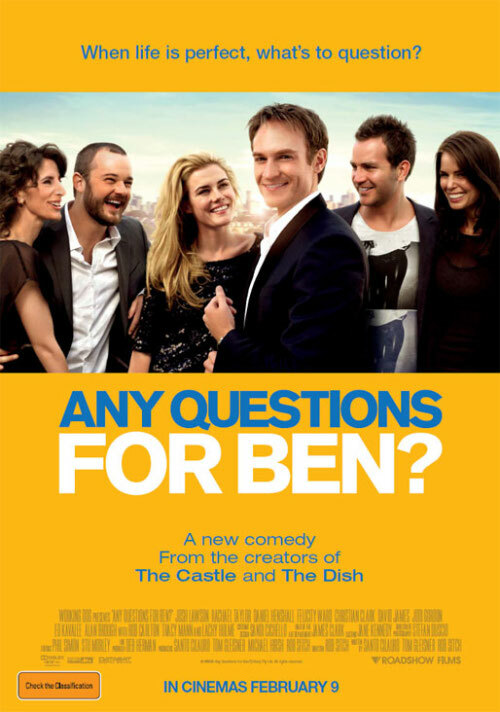 Lukewarm off the internet press is Working Dog‘s preview for their latest film, Any Questions For Ben?. Yes, question mark included. Starring Josh Lawson, Rachael Taylor, Felicity Ward, Jodi Gordon and Ed “KD Lang” Kavalee, based around we assume to be 25 year olds (the working title was named ‘25‘) the film was completed last year over a period of seven weeks – according to Tom Gleisner‘s interview with Watch Out For. While the details are still a little hush-hush, a teaser trailer was released by Roadshow Films on Facebook. Any Questions For Ben? release date is February 9, 2012.